Michel Grand informed me that this model is not traditional but a work of Mitsuo Okuda. So I am making a correction here. If Mitsuo Okuda wants to have this instruction to be removed, I would gladly do that. Please let me know. This page is for those who want the instructions to fold a traditional sitting origami fox. 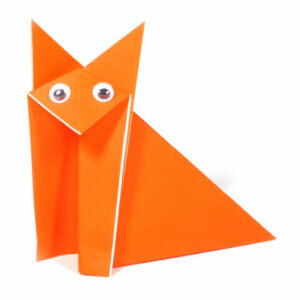 You may use any kind of paper to fold this origami fox. 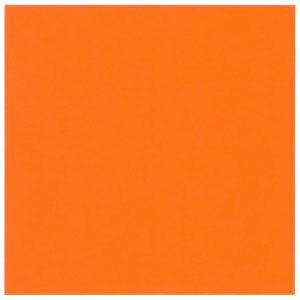 Here I am using a typical origami paper with one side color only. 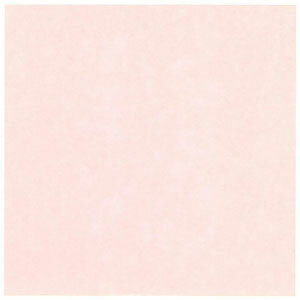 The size of the paper is 15cm x 15cm.